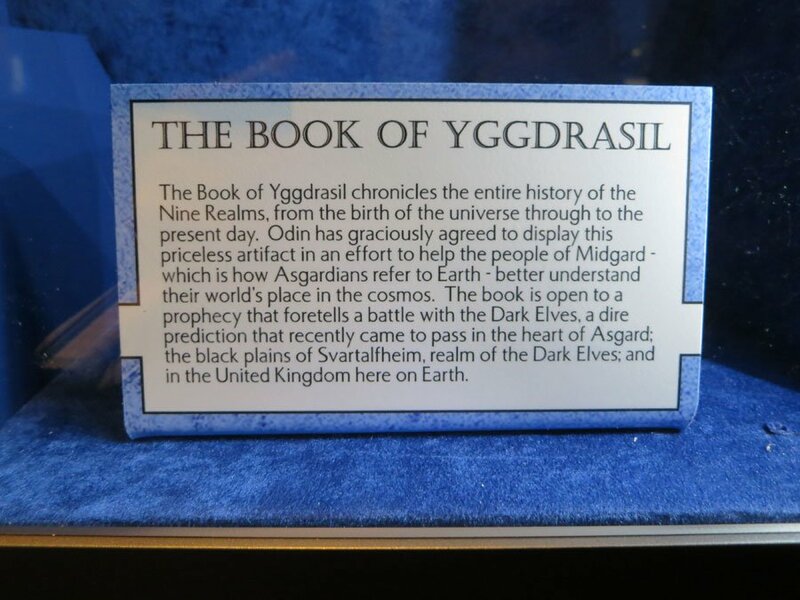 On November 8th, audiences heading to their local movie theater will get the chance to travel to the mystical realm of Asgard when Alan Taylor’s Thor: The Dark World finally hits theaters. 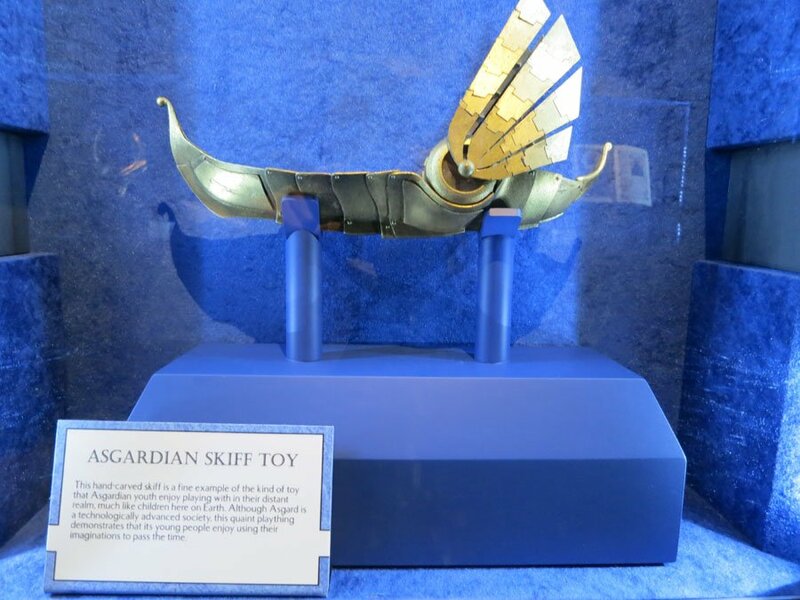 But for those of you who find that the cinematic experience isn’t quite enough and find yourselves desperate to experience the alien kingdom first hand, I have some mighty great news: Asgard is coming to Disneyland. 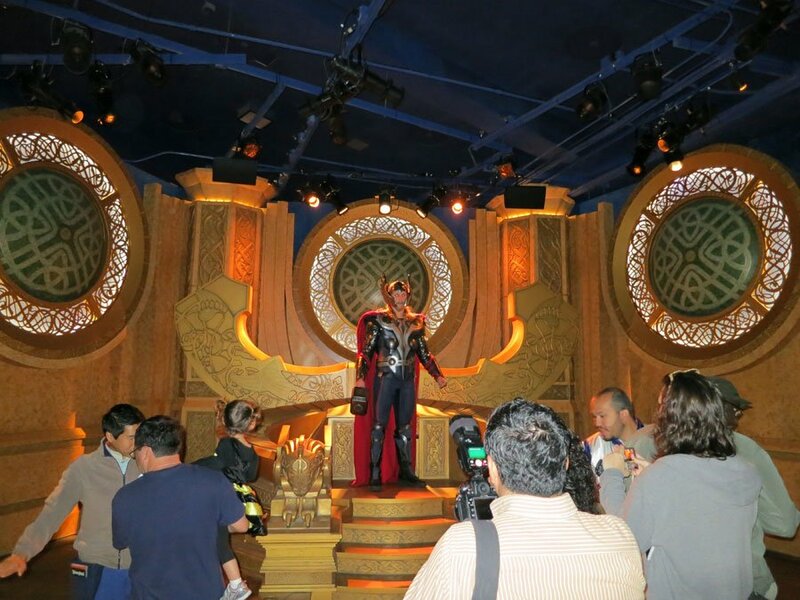 As was announced back in August, in preparation for the release of the latest Marvel Studios film the folks over at the Disney theme park in Anaheim, California have built a big, brand new exhibit that both shows off some of the real props found on the film and gives fans the experience of traveling to a whole new world. 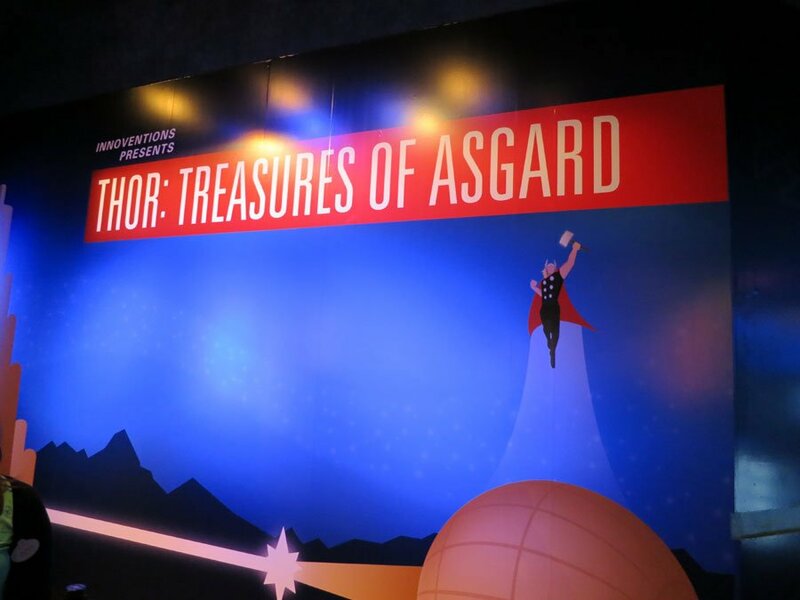 The display - which is inside the Innoventions building in Tomorrowland much like the Iron Man 3 set up from earlier this year – will be open to the public starting next month, but today I had the chance to head down to the park and get an early sneak peek of what they have in store. 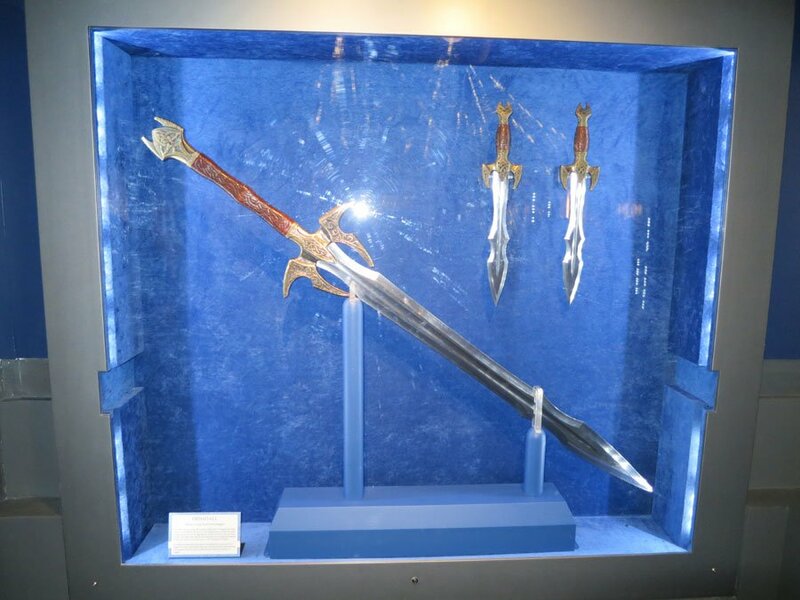 As you can see in the large image gallery at the bottom of this post, the exhibit begins with a small group being led between two rows of large glass display cases. 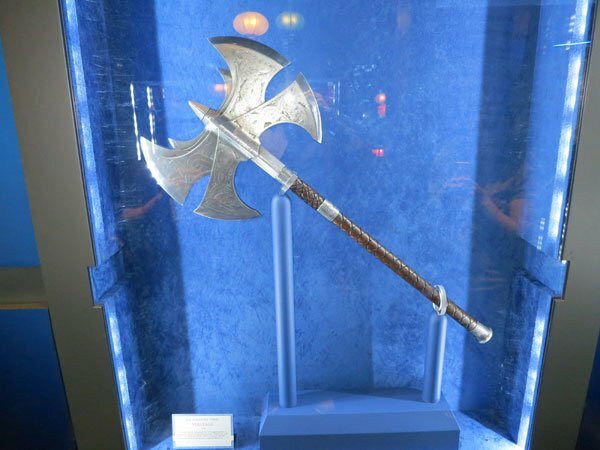 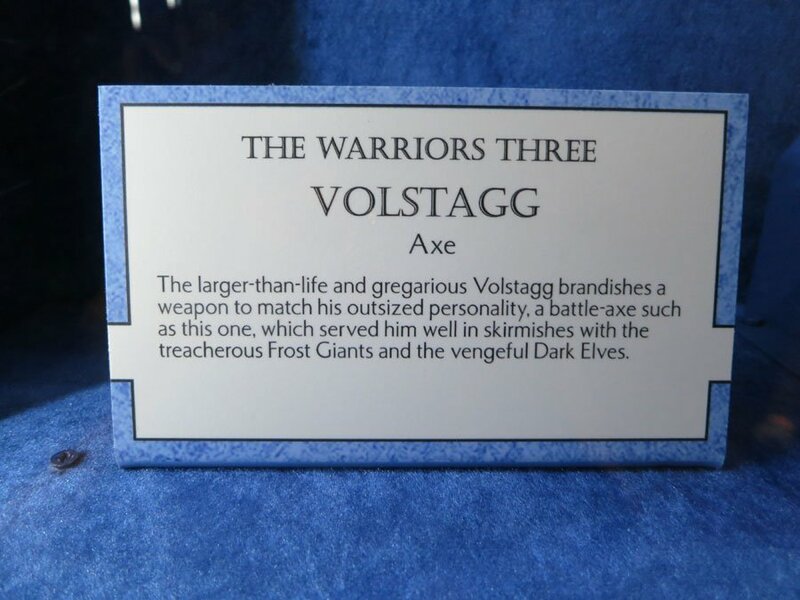 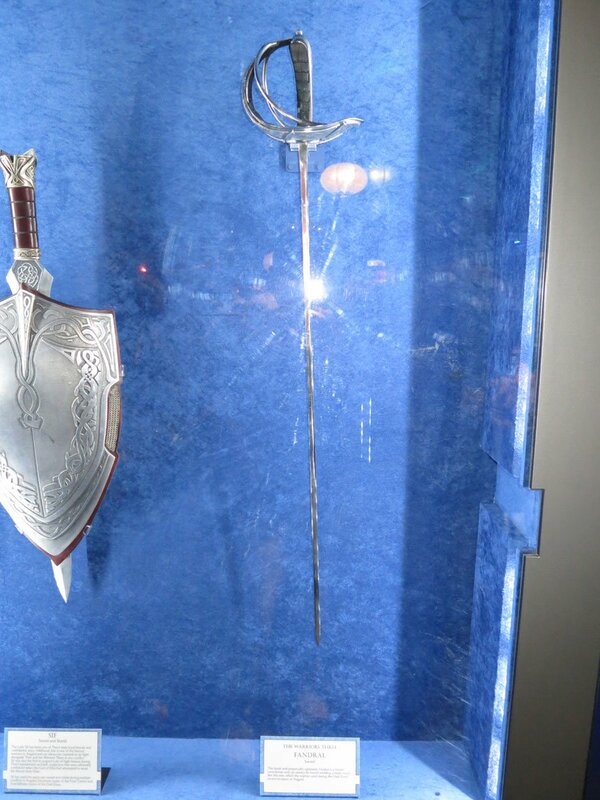 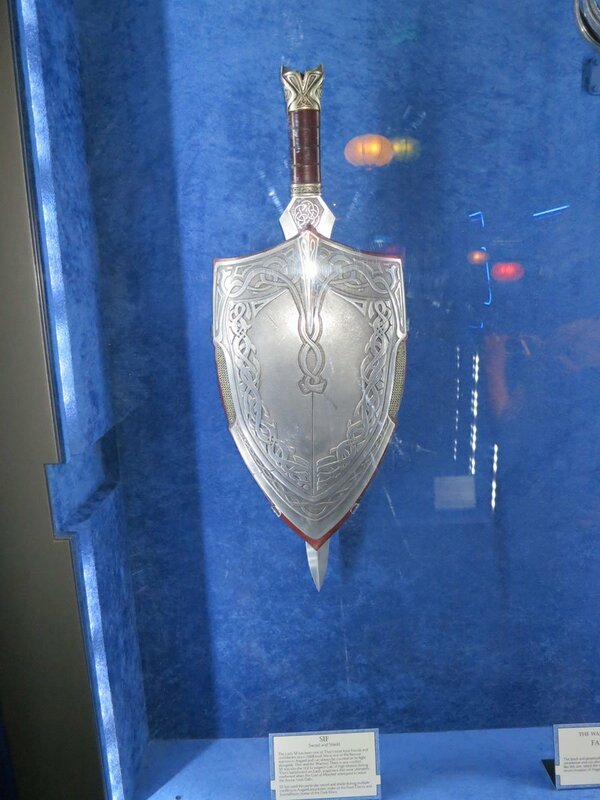 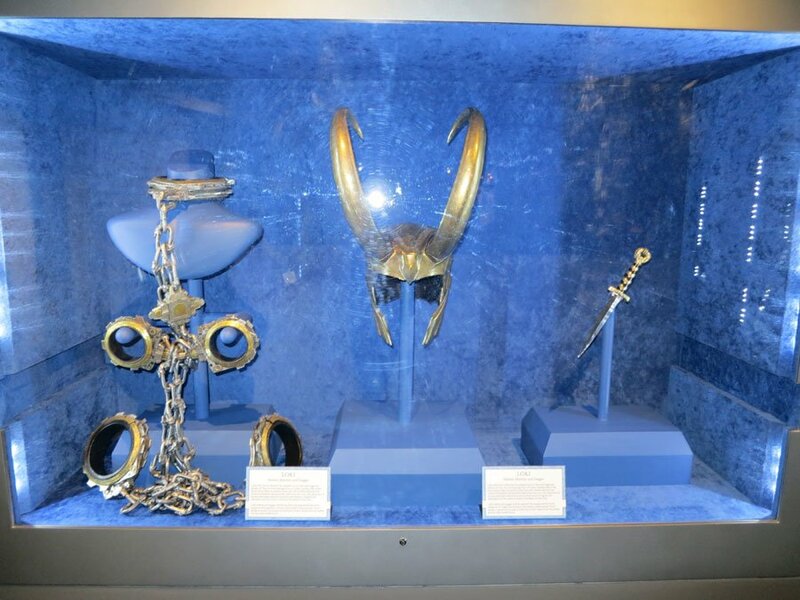 Each of the different boxes contained new and different weapons from a variety of characters in the film, the most notable being Sif (Jaimie Alexander) and The Warriors Three – Fandral (Zachary Levi), Volstagg (Ray Stevenson) and Hogun (Tadanobu Asano). 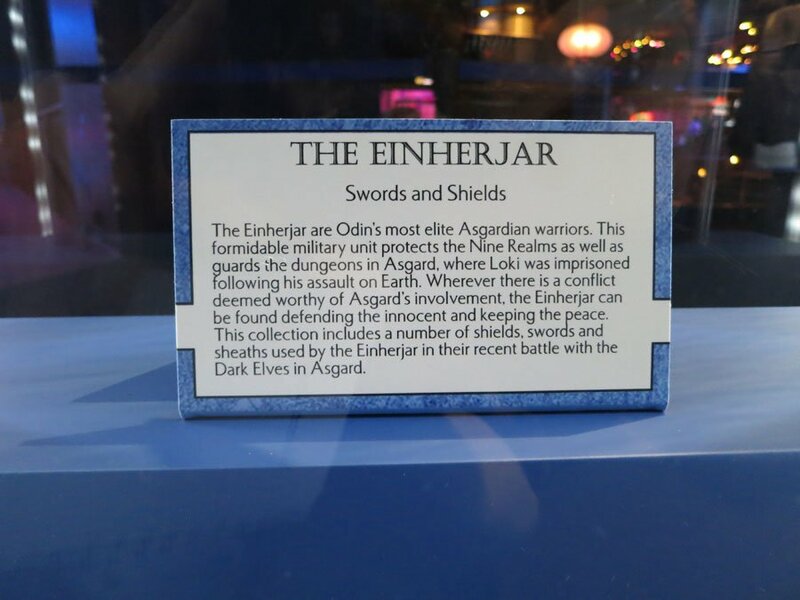 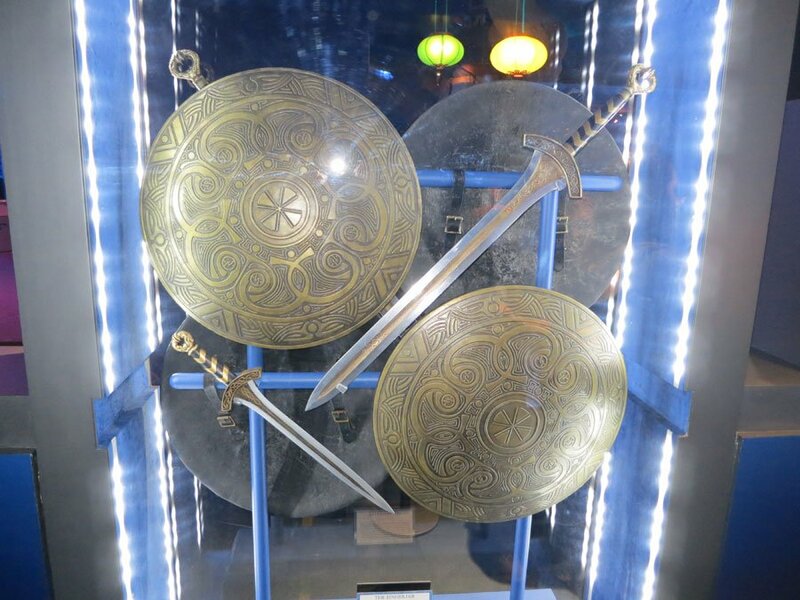 Also in this part of the exhibition were the shields and swords of The Einherjar, the most elite military unit in all of the Nine Realms. 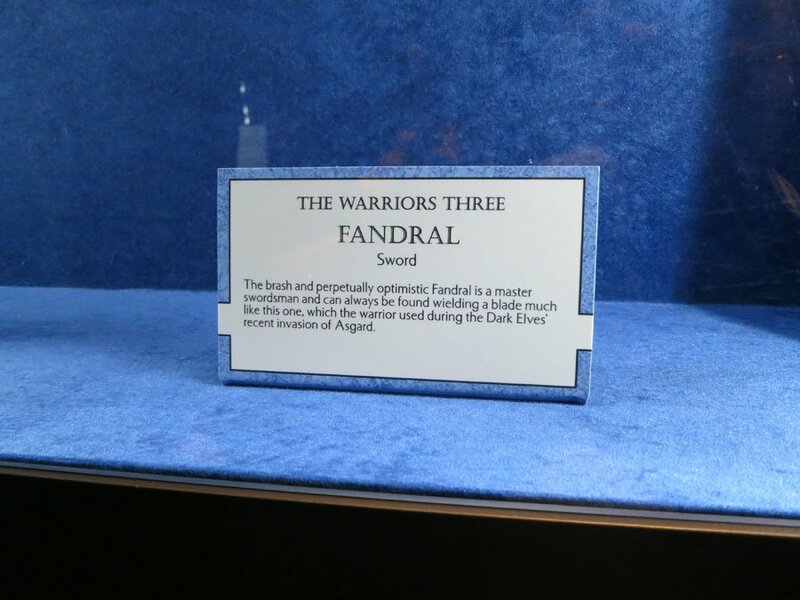 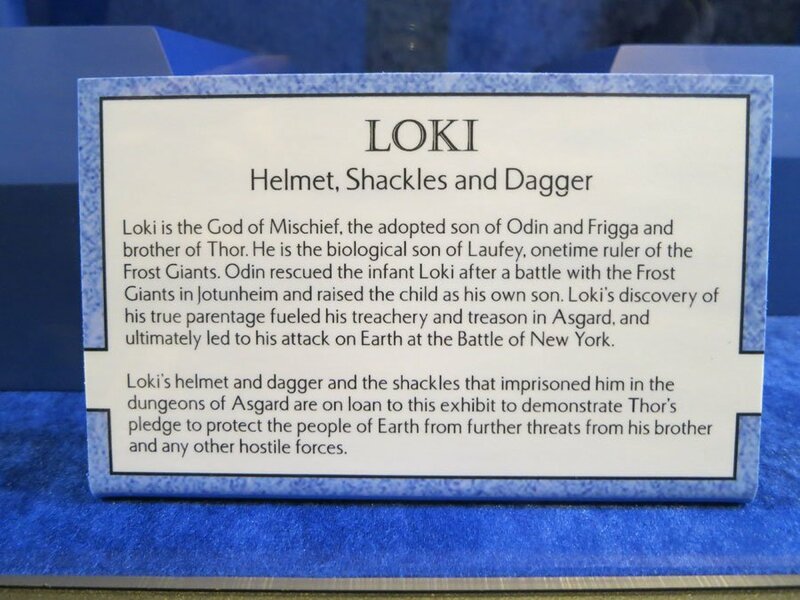 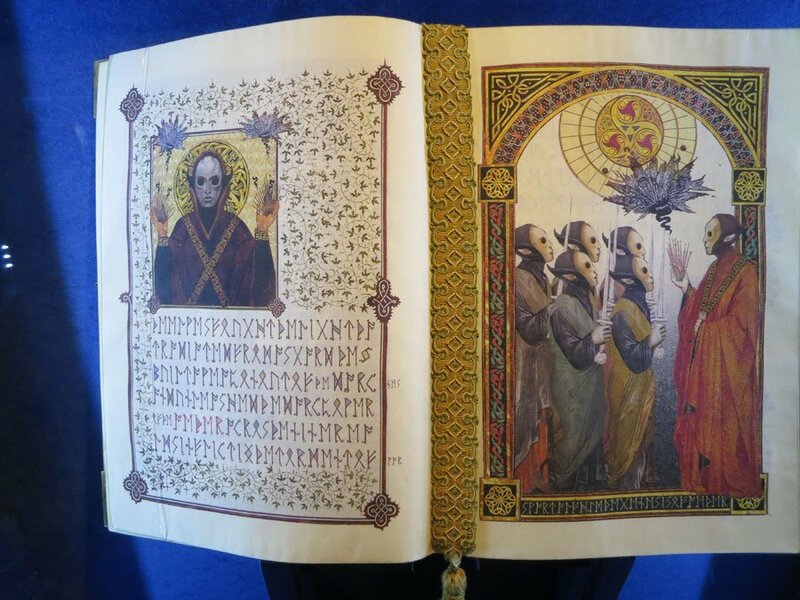 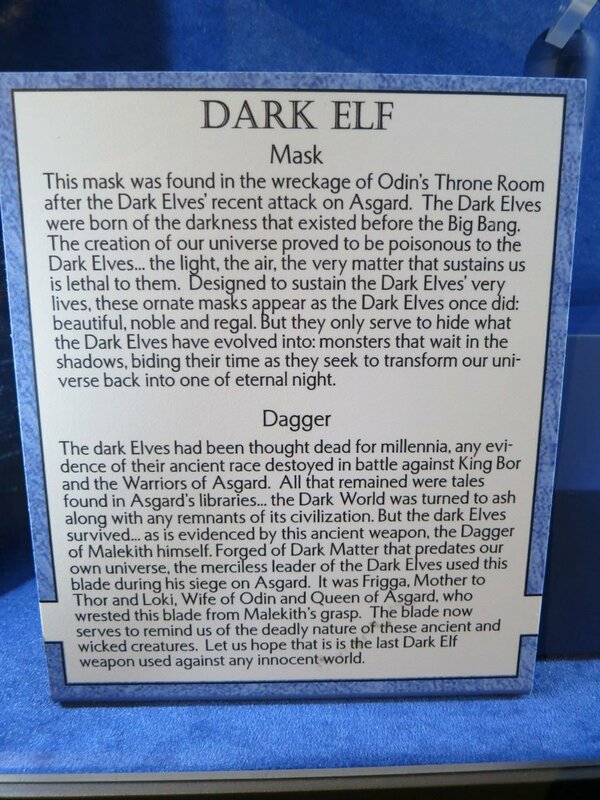 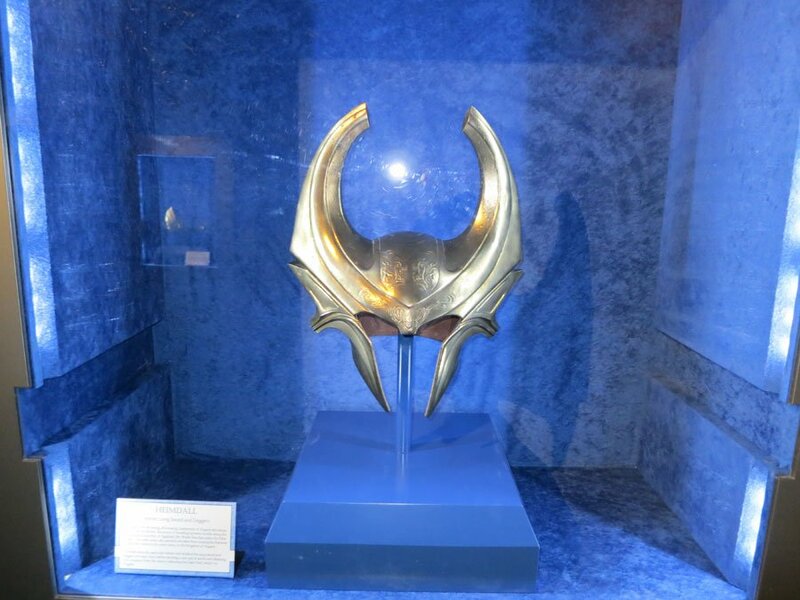 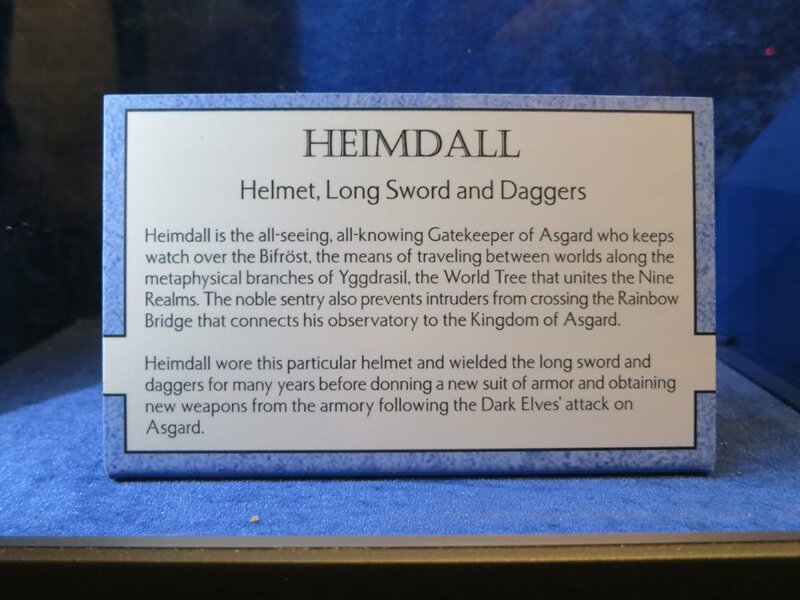 From there the tour moved through a small door which leads to a room filled with even more artifacts from Asgard, the space not only featuring weapons and equipment of heroes like Heimdall (Idris Elba), but also the props belonging to the villainous Loki (Tom Hiddleston) and the sequel’s new villains, The Dark Elves. 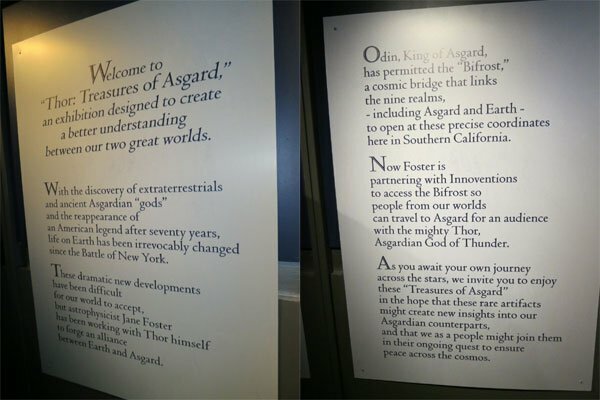 After a few minutes of touring around the room, our guide began their introduction to the exhibit, staying in character the entire time and telling us that everything we were seeing came as a donation from Jane Foster (Natalie Portman) and Odin (Anthony Hopkins) as a way for the people of Earth to better understand the world of Asgard. 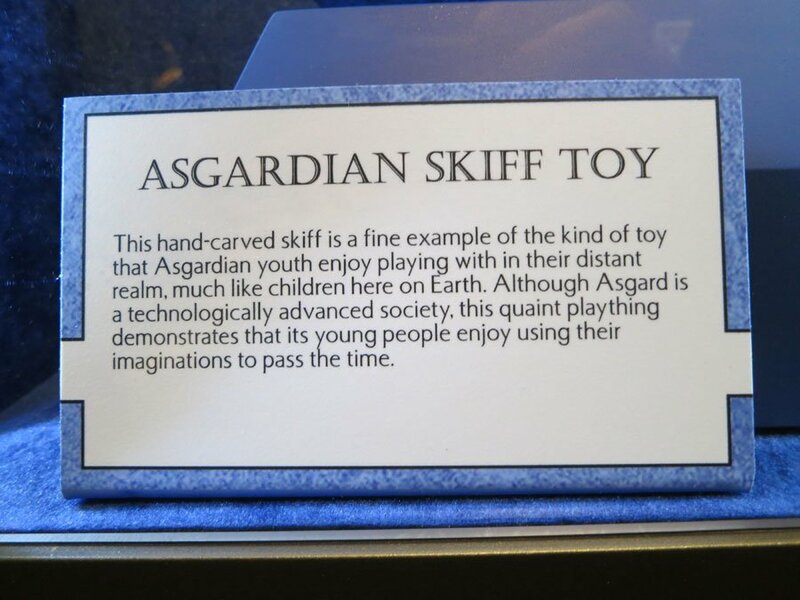 Then the tour guide told us that we were going on a little trip across the Bifrost Bridge. 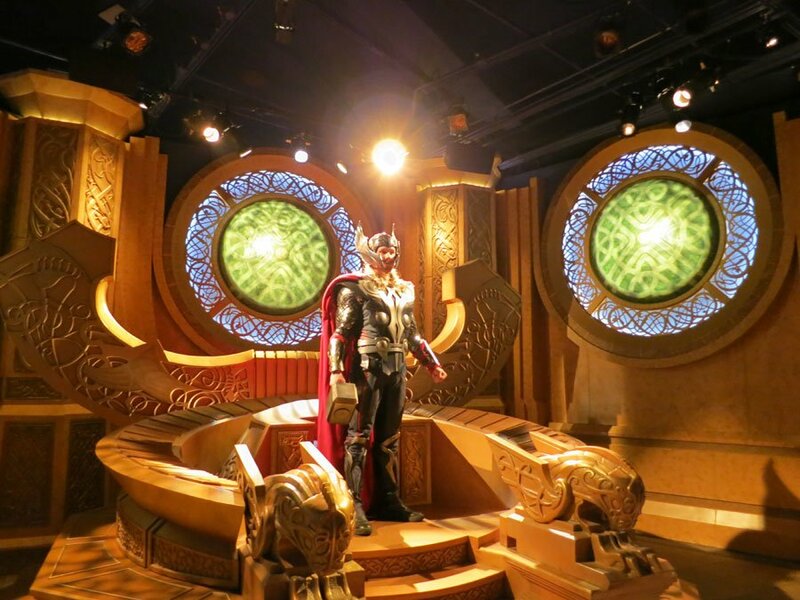 The room went dark, colorful lights began to spray all around the room, and then all of a sudden one of the walls opened up to reveal not only Odin’s throne room, but also an actor in full costume as Thor, who welcomed us to Asgard and offered to take some photos with the entire group. 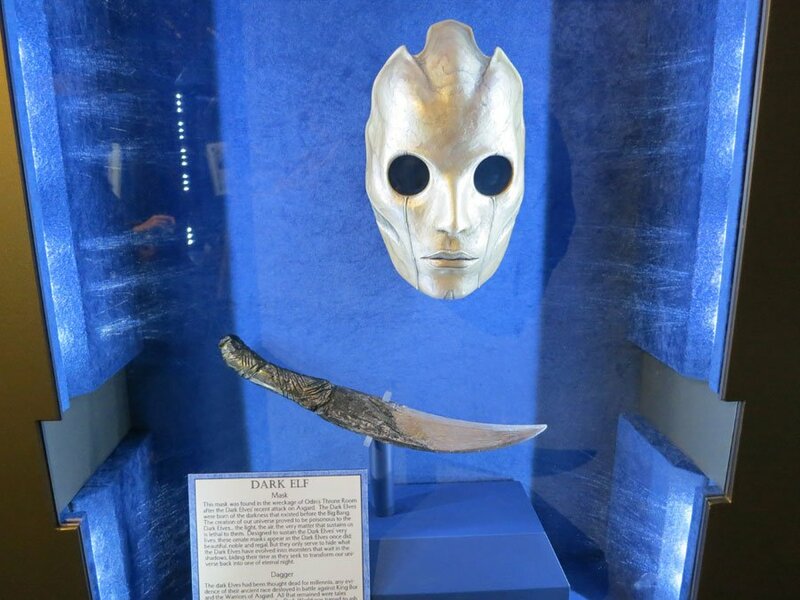 It was a quick little jaunt through the alien realm, but one filled with some truly cool sights, artifacts and details. 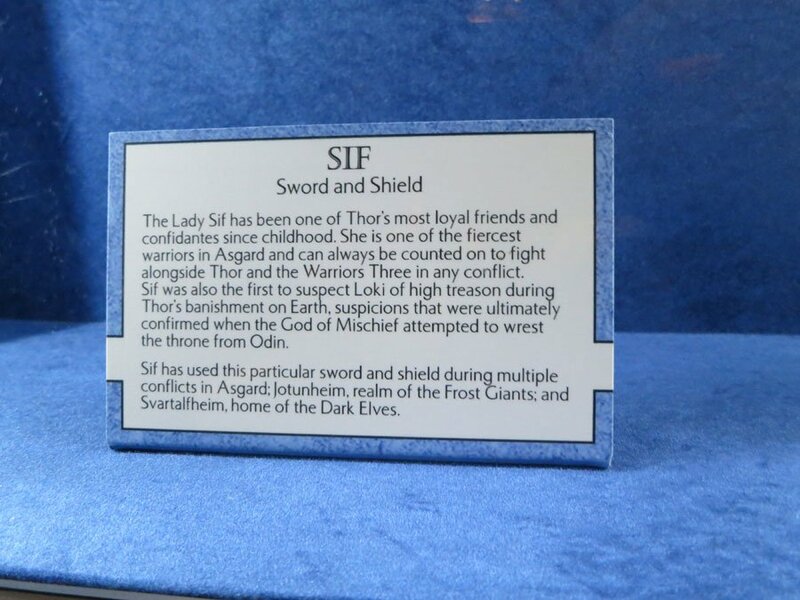 You’ll be able to see the exhibit for yourself when it opens in Disneyland on November 1st, but for now you can live the experience through my eyes with the gallery below!